As exciting as they are insightful, the Greek gods, Titans, heroes, and magical beings of the Mythic Oracledeck reflect the many aspects of human nature, and it is through their stories that we can better understand ourselves. 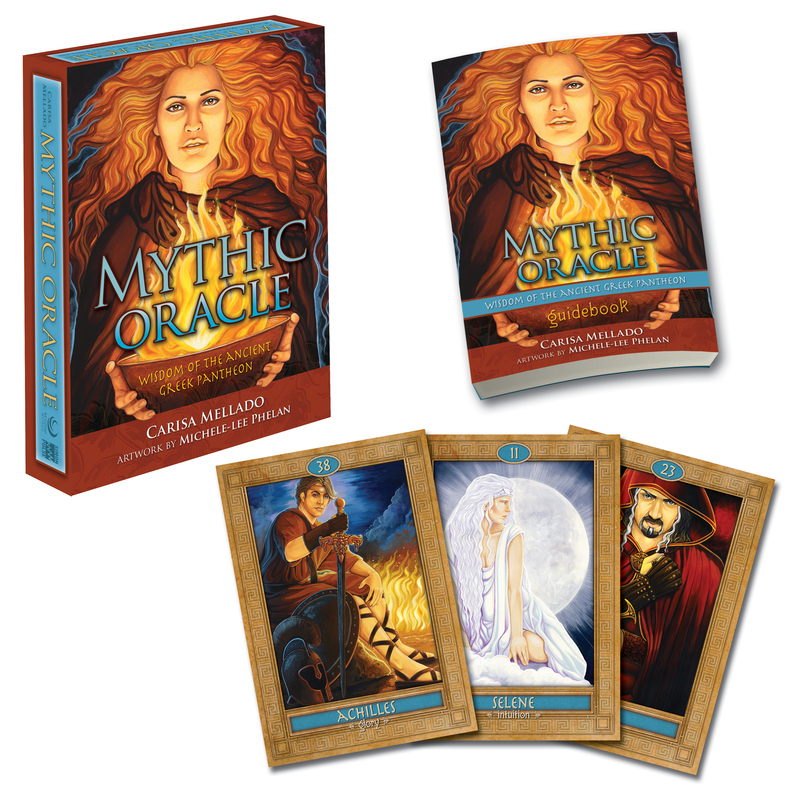 The bold fantasy styling of the Mythic Oraclegoes beyond traditional serious tarot cards to offer fascinating entertainment and real guidance in matters of love, creativity, family, and fulfilment through the ancient, eternal wisdom of Greek mythology. Now, you can gain deeper understanding into what is happening in your life, what is needed, and what comes next. Author Carisa Mellado leads you on a discovery of the myths and their interpretations and instructs you on how to give accurate and powerful readings for yourself and others. With forty-five beautifully illustrated cards and a straightforward guidebook, you can begin moving through life's challenges with clarity and confidence. Face the future. Find your courage. And let the Mythic Oracle guide you on your own epic journey. In addition to working as a professional tarot-card reader, Carisa Mellado is co-creator of the best selling Ask An Angel oracle cards. A gifted musician and composer, Mellado has also composed music for several soundtracks and meditation CDs. Michele-lee Phelan is a self-taught artist who has developed her own uniquely bold, colorful style. As a professional illustrator, she has provided artwork for several publications, including the Oracle of the Dragonfae by Lucy Cavendish, and for her own book, Dreams of Magic.